If you find yourself feeling low and sad, the things you once enjoyed seem so difficult to contemplate and you have less energy than before, depression might be the cause. It is not easy to diagnose because everyone is different, they react differently to situations and the symptoms can vary depending on the illness severity. It is important to remember that it is not something that holds any shame, it is an illness that needs some help for a person to feel better. 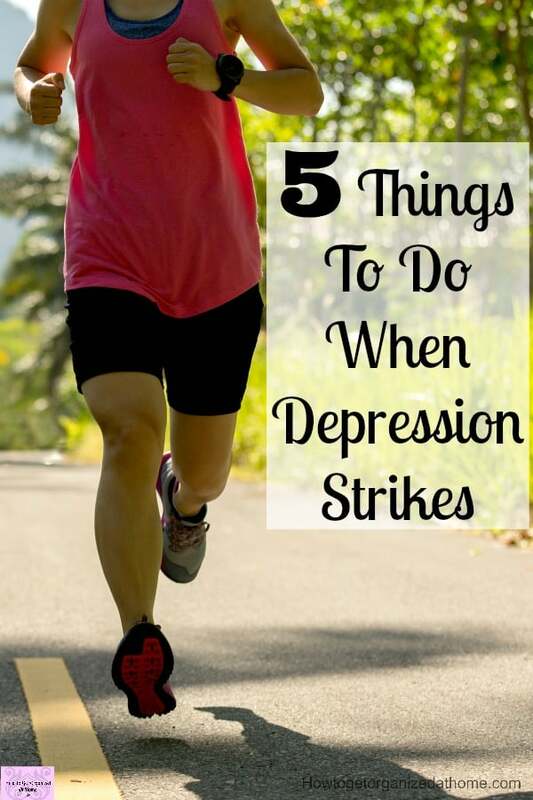 There are things you can do to help yourself feel better when you are suffering from depression, here is a list of just five things to help you on your way to recovery. When depression strikes it can affect anyone! When depression strikes it is important to seek professional help. Talk to your doctor and tell them how you feel. It is important that you take this step because only then can you have the facts and information to make a full recovery. It is not a quick path, it will take time, there is no guarantee that it will fully go away, and it can just become a part of who you are, something you deal with on a daily basis. Listen to your body; it knows what it needs. If it is more sleep then by denying it rest, will make the process to feel better, even longer. Denying that you are unwell will also cause you problems; there comes a point where you will crash, it is better to catch it and deal with the illness rather than waiting until your body can’t take any more. I think this is a step often left out, it is important to feel and to listen to what your body is telling you. What you eat can affect how you feel, if you are feeling good on the inside, it will help your mood. However, if you aren’t putting the good healthy food into your body then it is going to have a negative impact on how you feel. This is difficult when you just don’t feel good about yourself and this can lead to you reaching for the quick fixes like chocolate or other high-calorie foods, making you feel worse. It won’t help your mood or your body in the long-run. Exercise is the last thing you want to hear about when you are feeling low and depressed but it is true it can help you feel better. 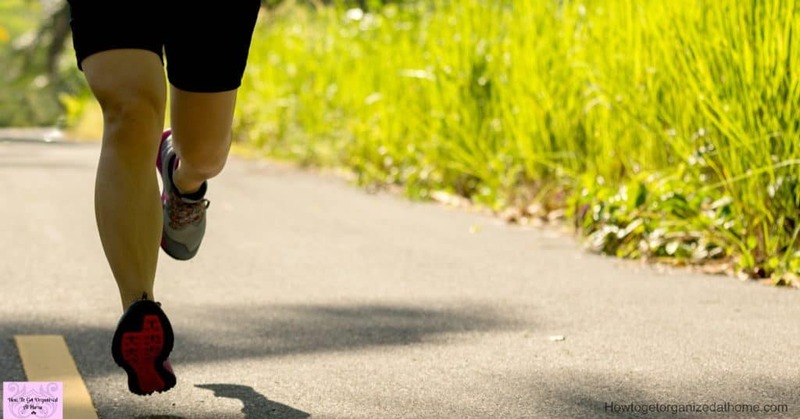 It doesn’t mean you have to go out and hit the gym unless you want to, of course, what it does mean is to move, it is as simple as going for a walk. 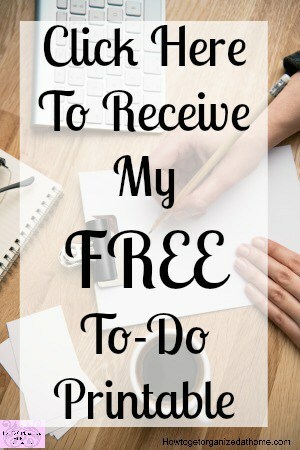 This for me is the hardest task of all, going out the door is hard and I put this off as much as possible, but I know that it is important so I am adding it to my daily to-do list. Once I am outside walking with my dogs it doesn’t seem as bad, it is just putting on my shoes that is the hardest part. Give yourself time, tackling depression takes time to develop and it takes time to feel better, it is not something that’s cured overnight. It is important that you realize that you will need time to heal, it is an illness. There is no magic pill that will make it go away. Yes, there are medications that can help but it might reduce the symptoms rather than completely removing them. For some people, they can start to feel better within a few weeks but for others, it is a lifelong battle, it is something that you have to learn to live with, but it doesn’t define who you are. 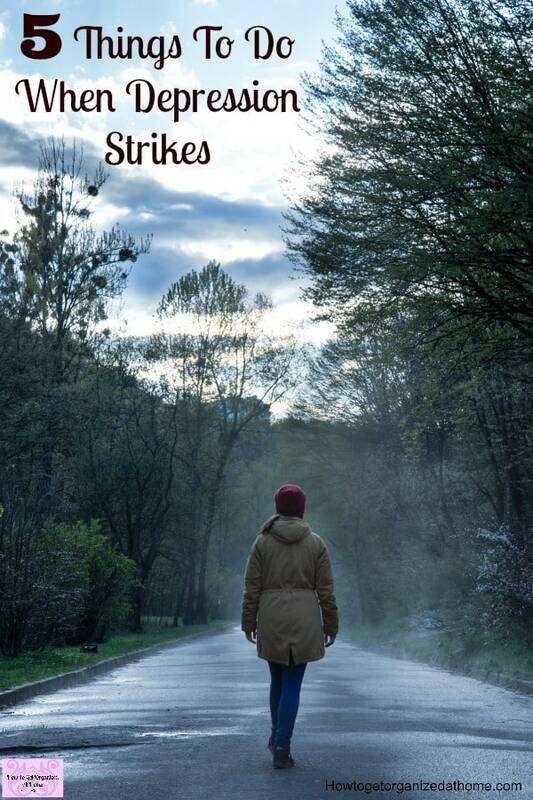 When depression strikes, it can affect anyone, it is not something to feel ashamed of. It is important that you seek the help and support you need to set you on the road to recovery, you might be prescribed medication or even some form of counselling to help put your mind back on the right track to recovery. No matter what treatment you’re offered, it is important that you take the situation seriously, it is an illness and you will need help to beat it. Therefore, if you find that you are feeling low and sad then it is time to talk to someone about how you feel. It isn’t easy and it isn’t going to go away overnight. It takes time, but taking that first step on the road to recovery is the most important part of your journey. What Is The Purpose Of A Home Maintenance Binder? Popping over from Monday Madness =) I love that others can share how to help with issues like depression and anxiety. I can attest to the exercise suggestion, once you get gong you’re happy you did it. Be sure to share your crafts, recipes & DIYs at Two Uses Tuesday (Mon 11pm EST to Fri 11pm EST, linkup 17 goes until 2/28!) over at Sarah Celebrates if you don’t already! Once again, GREAT, grace-filled stuff <3 Love this reminder that "… it will take time, there is no guarantee that it will fully go away it can just become a part of who you are, something you deal with on a daily basis…" This is SO. TRUE. Sometimes it's like "I just want a QUICK FIX, RIGHT NOW" 🙁 So numbers 2 and 5 are big for me. When I'm having worse days than others dealing with depression, SLEEP is all I want to do!!! Thank you Kathryn for your kind words, I know what you mean with the sleeping! Thanks for sharing this article. I found you at the Lady’s Collective Linkup. 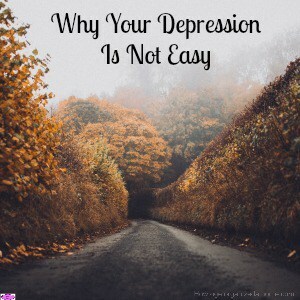 I am constantly struggling with depression and I am currently working to wean off medication. It’s scary. I prefer more natural ways to relive depression symptoms. I’ve been working on my diet and doing very well eating healthy meals, but exercise is still lacking… :/ It’s definitely hard to get motivated for that one, especially with two children who keep me up on and off all night! Wonderful post and great advise! I suffer from depression and anxiety so I really appreciate you tackling this topic! This is a great reminder, and I love those who stand up to educate and eliminate the myths of depression. I am featuring this on Snickerdoodle Sunday tomorrow. Thank you for sharing. Pinned and tweeted! 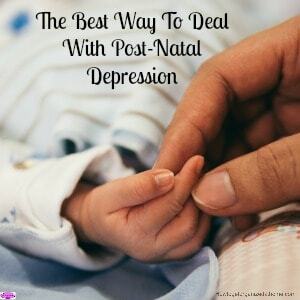 All these suggestions are good whether you have been diagnosed with depression or are experiencing a time of discouragement, for whatever reason. It is important, I think, as women to consider how we are taking care of our selves, and whether or not we have a solid support system to relate to, encourage and lean upon. For me, prayer is the most important aspect of my daily journey to wholness, but from your list i certainly have seen the benefit of exercise and how it makes me feel better. The stigma of taking medication for mental illness isn’t as bad as it used to be but it is still there. Th a ‘m you for taking the time to address these important issues. I agree with the above, especially the exercise! Thank you for sharing. Thank you for visiting exercise is so important! I disagree with no 2. When you are depressed you are likely to be more prone to sleeping a lot more than you usually do. However, giving in and sleeping whenever your body wants is the last thing you need to do. The body doesn’t actually need more sleep when you are depressed. Instead, the lack of an important neurotransmitter can cause fatigue and exhaustion in the affected person. When you feel tired, and suspect you are depressed,even though you’ve been sleeping well or more than normal, don’t lay down in bed and go to sleep. Find a way to redirect your attention instead. Watch a funny movie, write an email to your mom, do anything other than sleeping. Some studies argue that sleeping can actually cause depression to worsen. Conversely, if you have a cold or the flu, it’s true your body will require more sleep and if you feel tired when dealing with an virus or bacterial infection you should absolutely sleep. The body’s immune system requires more rest when it is fighting off pathogenic microbes. Just a heads up. These things are so true. For me, I have found that the diet and exercise pieces are huge factors. I also try to do something that has given me joy at other times especially if it’s something that doesn’t take a great deal of effort. It puts a little spark back in me and reminds me that those sparks are there. Thanks for these good tips! These are great tips and are good to know also if you know someone else who is battling depression. Changing their diet and working out have made a huge difference for a friend of mine who struggles with this.